Happy Monday, Paper Crafters! 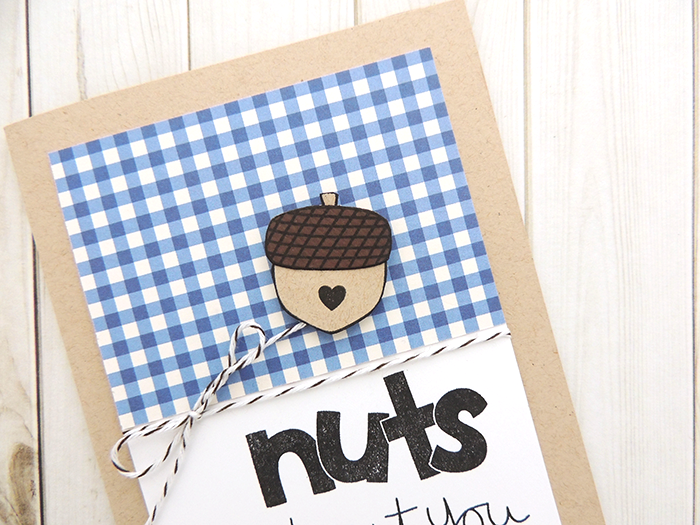 We're so excited to bring you today's post full of gorgeous cards and inspiration. Hurry into the shop to create this week's Make N Takes. Haven't heard about our Make N Takes? 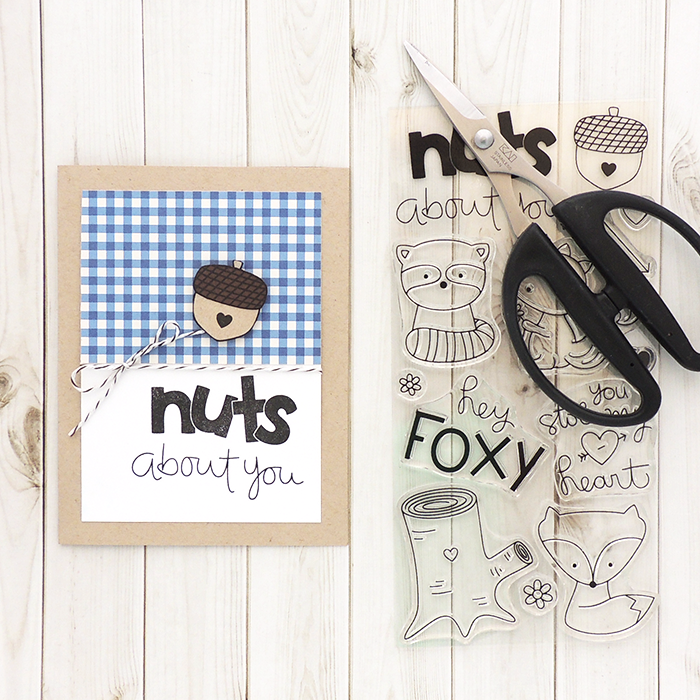 Each week Creations Galore offers three new, gorgeous cards for you to create. Each card is only $2 and includes all the tools and materials needed to create it. Just bring along your own adhesive. This is perfect for beginner to advanced card makers. It's self paced with step-by-step instructions, someone is on hand to demonstrate if needed, and it always includes new products and techniques for everyone to try! Stop into Creations Galore any time during store hours -- The Make N Take station is always open! We recommend coming in at least one hour before close. For more information, feel free to give us a call at (920) 983-0033. This weeks cards will be available from now until 4:00 PM on Saturday, August 6th. Learn the art of paper piecing and have fun with oversized phrase stamps. SUPPLIES Cardstock: Paper Cut. Patterned Paper: American Crafts. Stamps: My Favorite Things. Inks: VersaFine (Onyx Black). Discover the line of Distress Markers and a watercolor coloring technique. SUPPLIES Cardstock: Paper Cut, Bazill Dot, Northwoods (Watercolor). 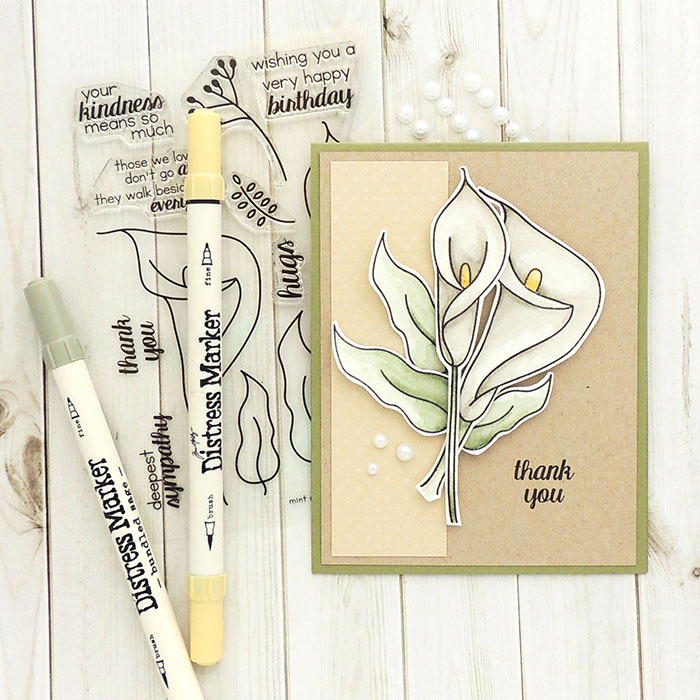 Stamps: Mint Owl Studio (Lilies Of Hope). Inks: VersaFine (Onyx Black), Distress Markers (Pumice Stone, Bundled Sage, Scattered Straw). Extras: White Pearls. Create a Halloween-themed encouragement card with this Lawn Fawn set. SUPPLIES Cardstock: Paper Cut. Patterned Paper: Illustrated Faith. Stamps: Avery Elle (Monsters). Inks: VersaFine (Onyx Black). Bling: Queen & Co (Brilliant Blue).